It's time again for a roundup of links to interesting articles. At least, I think they're interesting. 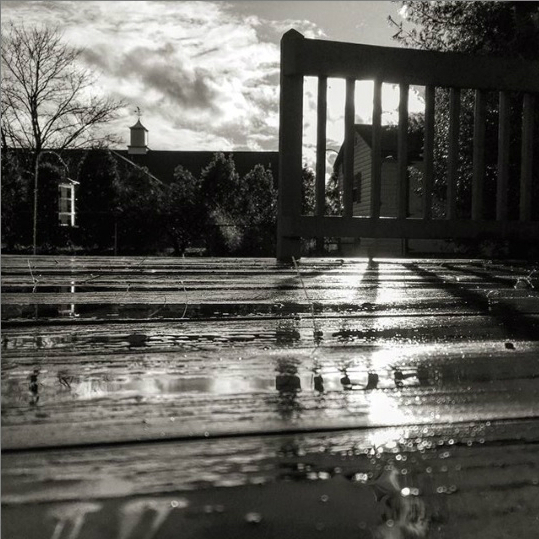 You might think they're dandy, dull, depressing or daffy — and of course you would be entitled to that viewpoint. This real photo postcard is a thematic companion to the snapshot I showcased a year ago of Dorothy Deemer and the chipmunks. This again looks like a chipmunk; I don't think the tail is bushy enough for it to be a squirrel. That fact that the photo is so bright doesn't help with animal identification. A woman with high boots and a beaded necklace is feeding a chipmunk. Only two things are written on the back of the RPPC: YELLOWSTONE and a year that's either 1927 or 1929, depending how you wish to decipher the handwriting. It would be presumptuous to say those words were written at the time the card was printed. They might just represent later guesses by a previous owner of the postcard. The AZO stamp box, with black squares in all four corners, dates the card to between 1925 and 1949 (which isn't super helpful). And that's all. No additional clues. CAUSED ALARMMerced, Cal. (UP) — Merced thought for a few minutes it had a nudist colony. An excited woman telphoned police there was one. The "colony," polic [sic] found, was just one terribly embarrassed hobo, whose clothing had been stolen while he slept in a boxcar. The officers fitted him out with overalls and shoes. 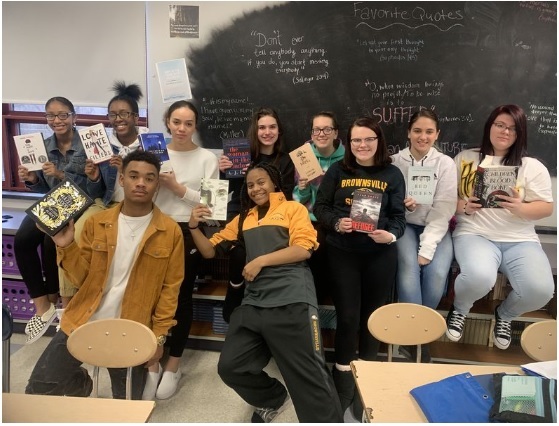 Back on December 1, I wrote about a high school classroom in southwestern Pennsylvania that was holding an online fundraiser to purchase books for its "25 Books a Year Challenge." It was my passion project for the holiday season. In great news, and thanks to some amazing and generous donors, the fundraising goal was reached. And the classroom has now received its books, setting the students up for a dandy winter and spring of new reading. This is the note of thanks that the teacher, Mrs. Salvucci, shared with all donors. "While my students have access to a majority of the classical texts that we read together in class, they don't have easy access to more relevant, young adult literature that they need in order to personally connect to the content. I specifically picked these books because I believe the situations and characters deal with a wide variety of topics that many of my students can relate to. These books also deal with issues that my students may not be aware of. I can tell you that as soon as these books came and I got them organized, every single one of my students checked out a book. They even suggested that we have a 'book talk' in a few weeks to share what the books are about. We will also be starting to a 'First Chapter Friday', where we read the first chapter of a book out loud to gain interest, and we will be using these books for that. These books will also help my students reach their goal of reading 25 books a year. I am pretty positive that most students will finish a book in a weekend. I'm excited for my students to read these books, share them with their classmates, and hopefully establish a new love of reading." I love sharing and giving books. And I love happy endings. This wrapped all of that together in one great package. Want some pie? Course ya do! 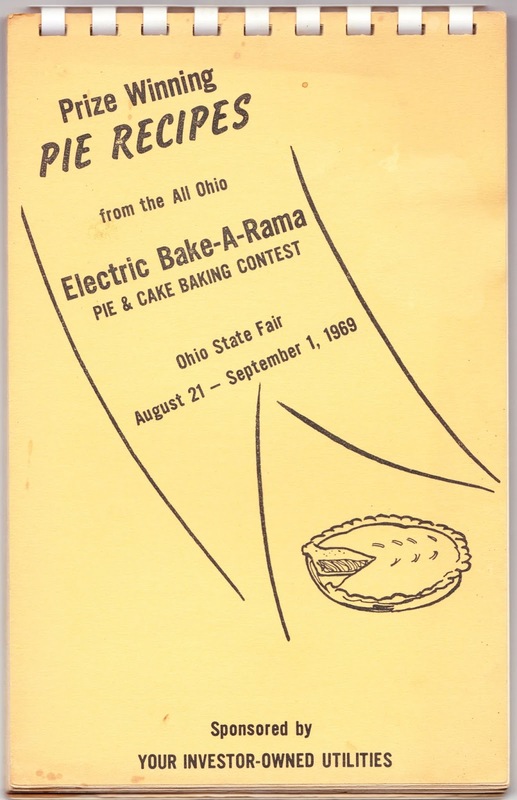 For the first recipe post of 2019, we turn to this spiralbound booklet from 50 years ago — "Prize Winning PIE RECIPES from the All Ohio Electric Bake-A-Rama PIE & CAKE BAKING CONTEST." This was part of the Ohio State Fair in the summer of 1969, and it was sponsored by "Your Investor-Owned Utilities." Types of pies included in this publication are: apple, blueberry, cherry, fiesta, lemon, mince meat, peach, pumpkin, raisin, raisin-walnut, raspberry and rhubarb. Apple, cherry and peach pies have the most recipes. I'm going to post Mrs. Rose Etta Blackwood's recipe for Fiesta Pie, because we like to veer away from the common and toward the unique here on Papergreat. It's the only Fiesta Pie recipe in the booklet. Slice bananas into bowl, add drained strawberries and 1/4 cup of strawberry syrup, pineapple chunks, coconut and lemon juice. Stir together sugar, tapioca and salt. Mix lightly with fruit mixture. Spoon into prepared pie shell. Measure flour and salt in mixing bowl. Thoroughly cut in shortening. Add water, one tablespoon at a time, tossing with a fork after each addition. Mix until all flour is moistened. Shape into ball; divide in half. Roll out one half of dough and gently fit into pan. Roll out remaining dought and cut slits in it. Place on filling. Fold under excess pastry, even with edge of plate. Pinch with fingers to form a high standing collar. Flute edge. Cover edge with 2" strips of aluminum foil to prevent excessive browning; remove foil last 15 minutes of baking. Bake at 425 degrees for 50 minutes. Serve at room temperature. If anyone makes and enjoys this one, let us know in the comments how it went. Rose Etta would probably love to know, too. Publisher: Dorrance & Company, Philadelphia, which I strongly suspect is related to Dorrance Publishing Co., a vanity publisher founded in 1920 and based out of Pittsburgh. Provenance: No ownership marks inside. Purchased used for $3.50 in 2018 at The York Emporium. Dust jacket excerpt: "The question of life after death and, in particular, the question of whether the spirits of the dead can communicate with the living, has always been a controversial and intriguing subject. This unusual book documents the author's personal experiences, and those of many others, of communication with the souls of departed friends and loved ones." First paragraph: "I am writing from a nonsectarian standpoint, to favor no religious denomination, to advocate the tenets of no religious sect. However, I do believe the time has come when our religious leaders and scientists must unite in attempting to solve the mystery of life." Last sentence: "We must have a greater sense of life, we must see more clearly the unreality of death, we must think of the departed as living and progressing." "If you are looking for a spooky ghost story, this is not the book for you. On the other hand, it might be just right for a recently bereaved person or in helping to destroy one's fear of death, since the book is a nonsectarian treatise on the continuity of life. ... The author dwells page after page on the theme of everlasting life. In fact, she prefers most any other description than the word death. ... Accounts of her own and those of her friends' experiences with ghosts are put forth with soft-spoken sincerity. ... Mrs. Burke points out how disappointing it must be to those who have passed on to find their loved ones, who are still living in the flesh, do not recognize their ghost identities." Who was Clara Burke? To me, the rest of Burke's life is more interesting than her 42-page self-published book about the 1960s/1970s fad of ghosts and the afterlife. (She published the book about four years after the death of her husband, Clarence Baldwin Burke, so it's only natural that she might have been especially preoccupied with life after death.) The dust jacket, meanwhile, notes that she was a 1915 graduate of Philadelphia Metaphysical College. 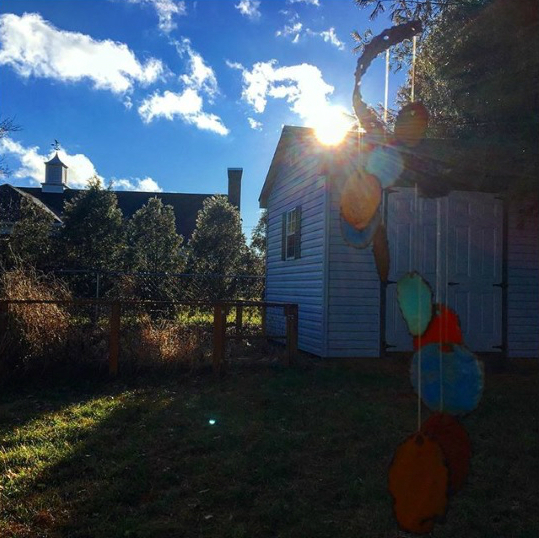 I can't find any other references to that college, but I suspect that it was similar to the Massachusetts Metaphysical College, which was founded in 1881 to teach the precepts of Mary Baker Eddy's Christian Science. 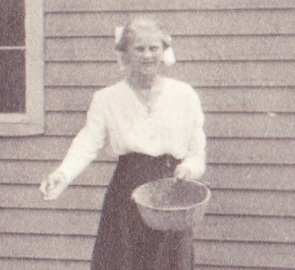 Early in her married life, she helped found a local chapter of a women's suffrage organization, which later became the Whitemarsh Township Women's Citizen Committee in 1919. 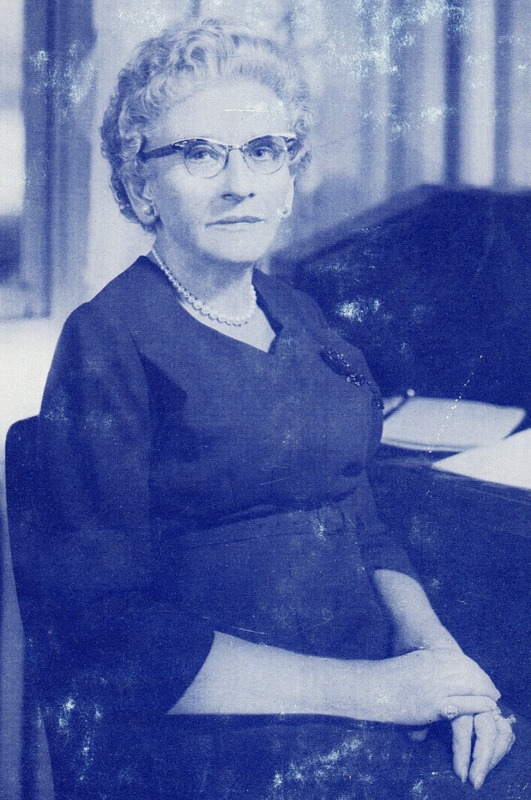 She helped to establish the public library in Plymouth Township and, according to the Inquirer, "played a major role in persuading township fathers to recognize the need for a paid police force." She and her aforementioned husband, who was an insurance executive, "entertained" an estimated 5,000 convalescing World War II soldiers and veterans at their own home and at Overlea, a Chestnut Hill recreational home. 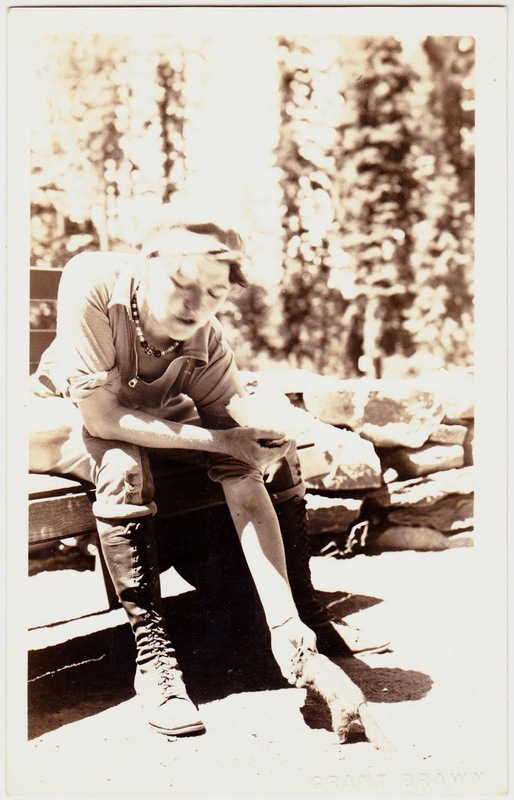 She was once lauded by Maj. Gen. Raymond W. Bliss, who served as Surgeon General of the Army from 1947 to 1951, for her dedication to re-introducing injured soldiers to the community. In 1966, she became involved in the Shin Seng Children's Home in Ansung, Korea, [possibly a misspelling of Anseong] and established the Clara B. Burke Korean Orphans Fund. I think some of the above accolades might be taken with a slight grain of salt; it appears Burke handled most of her own publicity. But it's undeniable that she and her husband did a lot of good, especially for wounded soldiers returning from the battlefronts of World War II. And it's notable, I think, that she got George C. Corson, a retired judge from the Montgomery County Court of Common Pleas, to write the foreword to her 1969 ghost book. He wrote: "I have been acquainted with Mrs. Burke and her many projects for 50 years and have helped with some of them. I have spent a number of weekends with her and her late husband aboard their cruiser in the Chesapeake Bay area, and I have the highest regard for her." 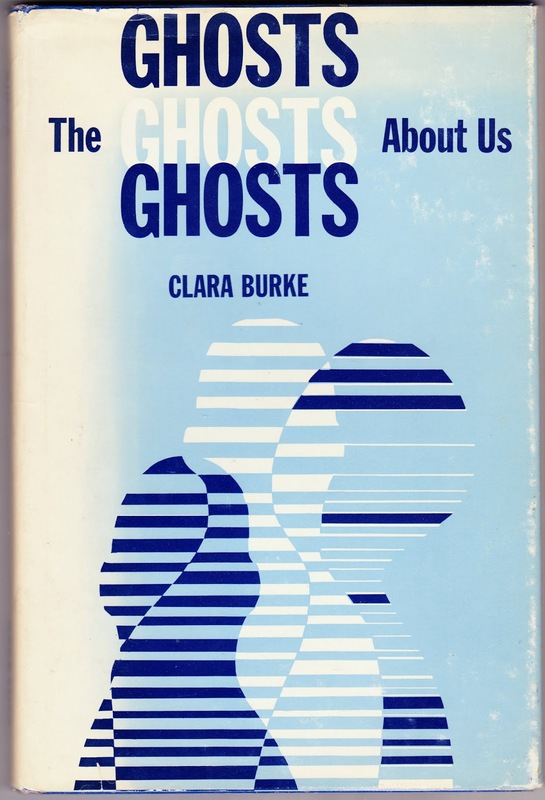 A final note: The dust jacket states that Burke was working on her next book, to be titled Ghosts and Haunted Houses. I can't find any evidence, however, that it was ever published. 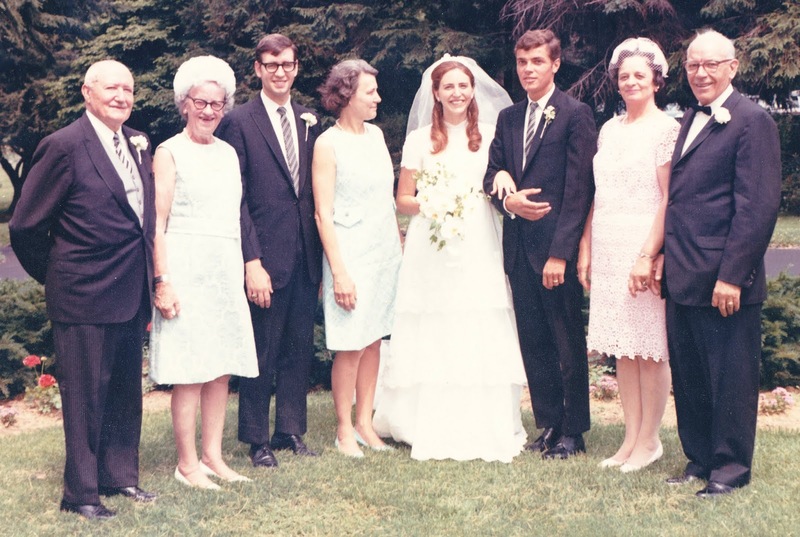 This group photograph was taken during my parents' wedding day on June 14, 1969. They were married at Trinity Episcopal Church in Swarthmore, Pennsylvania, and the reception was held at nearby Rolling Green Golf Club. So one of those two places was the likely setting for this shot. As the person who inherited the bulk of the family photographs — and, dear heavens, it's a lot of photos — I believe I'm in the best position to say that this is the only shot that contains all eight of these people in the same photograph. So it's a pretty neat piece of my family history. My father and my uncle are the only two people in this photograph who are still alive. Howard Horsey Adams (1892-1985), a great-grandparent of mine on Mom's side. I called him Pop-Pop. Read a bit about him here. Greta Miriam Chandler Adams (1894-1988), Howard's wife. I called her Mimi. Her collection of ephemera from world travels has contributed greatly to many Papergreat posts. Charles Ingham, Mom's brother, who now lives in Texas. Great sense of humor. Helen Chandler Adams Ingham (1919-2003), Mom's mother. Daughter of Howard and Greta. I called her Beembom. 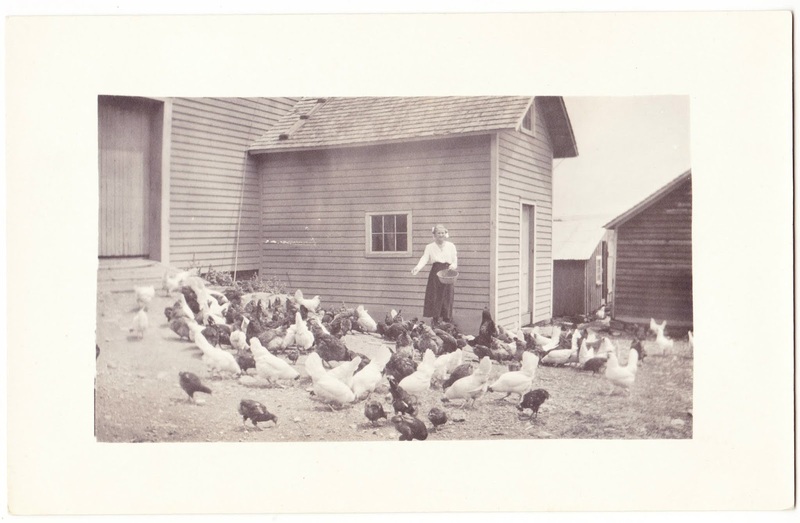 Her life and travels have also contributed greatly to this blog. Mary Margaret Ingham Otto (1948-2017), my mother. Read through the Mom's Life label to learn all about her. John Alan Otto (born 1947), my father. Now lives in Florida with his wife of 23 years, Sally. More pics of Dad here. Olive Virginia Hartford Otto (1914-2006), Dad's mother. I called her Bambi. John Alexander Otto (1911-1991), Dad's father. I called him Pappy. He was a World War II veteran and once bowled a 300 game. Book cover: "I'd Rather Be Wright"
Cover blurb: "A football rebel hilariously recounts the laughter, pain, and absurdities of fourteen years spent in the Lilliputian world of football's establishment"
Provenance: Originally sold at Bookland in York, Pennsylvania, per the little gold sticker on the inside flap of the dust jacket; was once in the possession of Lee Stotsky, per the name written on the inside front cover; purchased recently for 50 cents at the antique store in York New Salem. 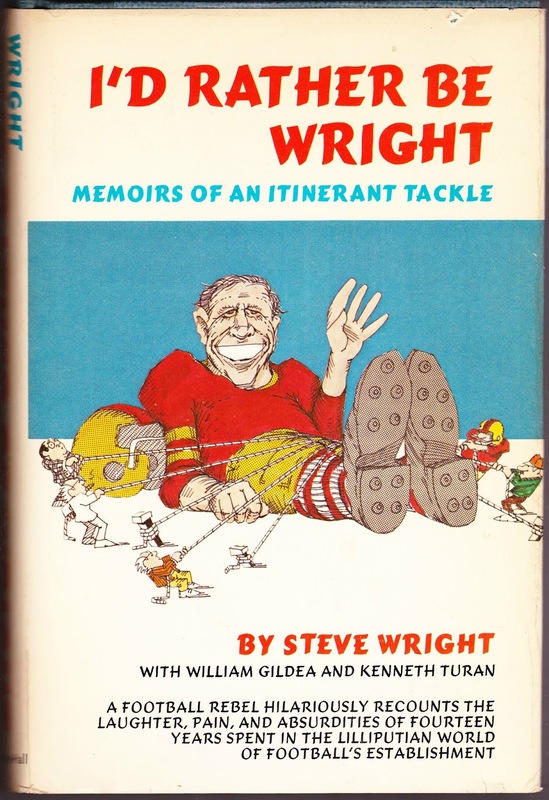 Dust jacket excerpt: "With his lively charm and uncompromising wit, Wright recalls the many famous personalities he was associated with: Vince Lombardi, George Allen, Wellington Mara, Bear Bryant, Joe Namath, Fran Tarkenton." First sentence of foreword by Dave Anderson: "Steve Wright was never all-anything." First sentence of introduction by Gildea & Turan: "On first glance, the world is not crying for Steve Wright's book." First sentence: "When I think about the University of Alabama, I spit." Epilogue: "Even 6-foot-6, 250-pound football players can't arrange life the way they want it, and Steve Wright's first year out of the National Football League did not end up quite as he had envisioned. The energy crisis and its shortage of gasoline made his planned rambles through the wilds in a gas-eating camper impossible, and at the same time a new professional group, the World Football League, was formed. The league made Steve and offer and, ever pragmatic, he accepted and signed a three-year contract with the Chicago Fire. The beat goes on." Random sentence from middle: "One of the problems I had was that I'm a Levis and shirt guy, I dig comfort." Goodreads review excerpt: In October 2011, Jake wrote: "It started out pretty funny and it had the potential of being a football 'Ball Four' but quickly devolved into a repetitious pattern of 'This team didn't understand me so screw 'em.'" Amazon review excerpt: In December 2004, Yolanda S. Garcia wrote: "If you want your athletes on pedestals, skip this book — but if you want to read about the real blood, sweat, booze, broads, pills, and road life from an earlier era of pro ball written by a guy with a wry self-knowledge and affection for the whole game, in spite of/because of everything — then this is for you." Note: The Steve Wright who wrote this book and played in the NFL in the 1960s and early 1970s should not be confused with the Steve Wright who played in the NFL and USFL in the 1980s and early 1990s and later appeared on Survivor: Redemption Island. 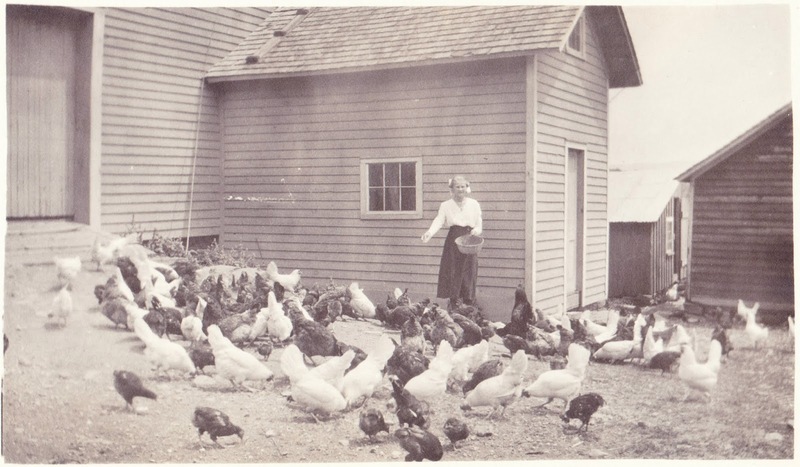 On the quacking heels of Friday's real photo postcard of feeding time for some ducks, here's an old RPPC showing the feeding of the barnyard chickens. There's no information and no date on the postcard, so all we have to go by are the particulars of the AZO stamp box, which indicate it was produced between 1910 and 1930. There is a wide variety of hens and roosters in this yard. And that seems to be a pretty small basket the woman is holding, so I guess this would have been one of several feedings. I've never raised chickens myself, but a quick glance online shows that average chicken requires about 1/4 of a pound (four ounces) of feed per day. That works out to about 3/4 of a cup. 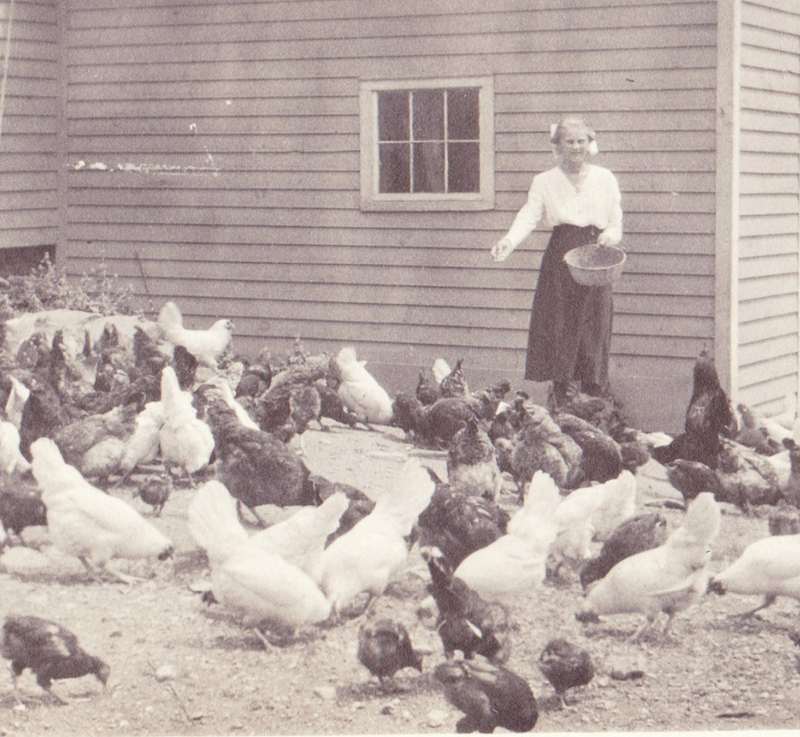 One website notes, "so one very large chicken should be fed 1 whole cup per day."